One thing that makes me "happy" and my heart pitter patter is pretty neatly organized spaces. 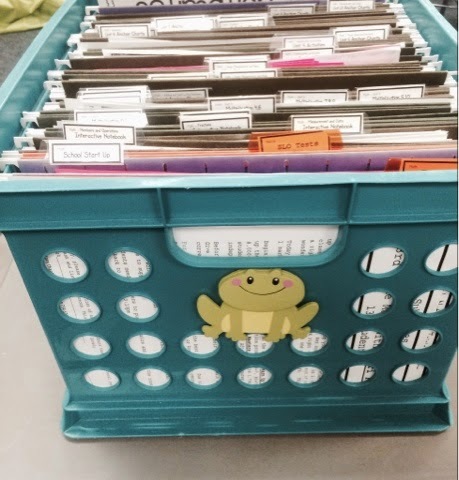 A few years ago when I had a student teacher in her lead teaching, I purged, reorganized and developed a new file system. It was the best of both worlds...I stayed in the classroom for support and as an extra set of eyes/ears and I multitasked. Here is one of my files cubes now. I created a small template in word so it can be quickly edited(that was before I discovered my love for PowerPoint). In the left corner I typed the subject and/or the time of year. 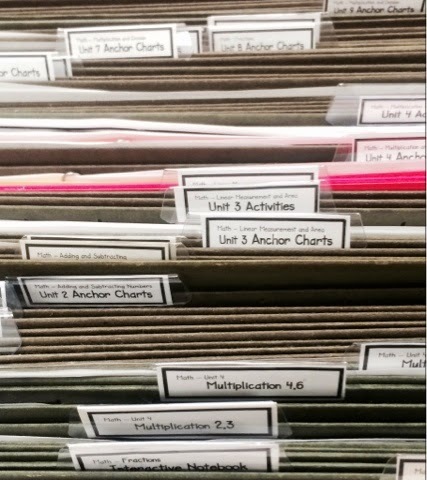 Some subjects have multiples folders. 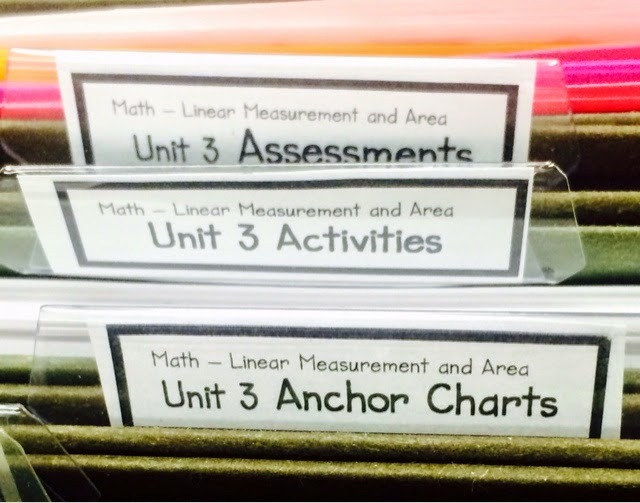 This year in math, I added the Everyday Mathematics unit titles. Now when I have to file, it is easy to see what each unit's objective.